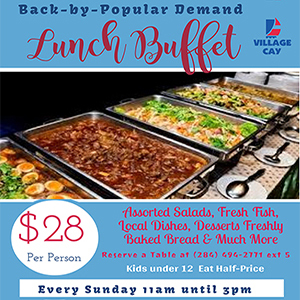 Members of the BVI Investment Club have declared that the global economic crisis nearly a decade ago partly resulted in the stalling of $6 million worth of investment, and the shelving of plans to significantly develop the Virgin Gorda Yatch Harbour. Member of the Club Romney Penn made the revelation during a community meeting on Virgin Gorda this week, when residents accused the Investment Club of treating its tenants poorly, and failing to fulfill lofty promises it had made in the 1990s when it took control of the prime real estate. Penn stated that the Investment Club tried to construct a town centre, adding that the financier Banco Popular – at the time – wanted one of the buildings. “Scotiabank stepped up to the plate and said they were going to open up an office… With the recession, we’ve been having difficulties procuring tenants… So, buying a brand new property and spending $6 million set us back, and delayed our plan that we had for the marina. It set us back to this point in time,” Penn said. Now, the Investment Club is forging ahead with development of the marina to cater mainly to high-end players in the yachting industry. “It doesn’t take a rocket scientist to see where we are going. We are moving to the high-end tourism business. We are trying to attract mega yachts, and we don’t have the facilities to facilitate them if there is a [mechanical] problem with a mega yachts,” Penn further told the residents. But residents have accused Penn and other members of the Investment Club of pressing ahead with the far-reaching development without prior consultation with the community, and without an Environmental Impact Assessment (EIA) being conducted. Furthermore, while the Investment Club is lamenting its own financial challenges, some residents have accused it of exercising little or no financial mercy in its dealing with tenants. A former tenant, who related her story publicly, claimed that the Investment Club – for example – has two buildings on the property that have not been occupied for several years due to costs. “They are shells; they are just walls with nothing in them. So, if someone wants to go in there and start a business, your capital investment is incredible. You have to put up walls, you have to put up electricity, you have to put in your plumbing, you have to put in your phone, you have to put in your floors – everything. Who is gonna do that? Who has that kind of money? You are looking at $50,000 [to] $60,000 if you want to do a nice job on maybe 900 square feet. So it’s impossible,” added the former tenant. She then became more personal. 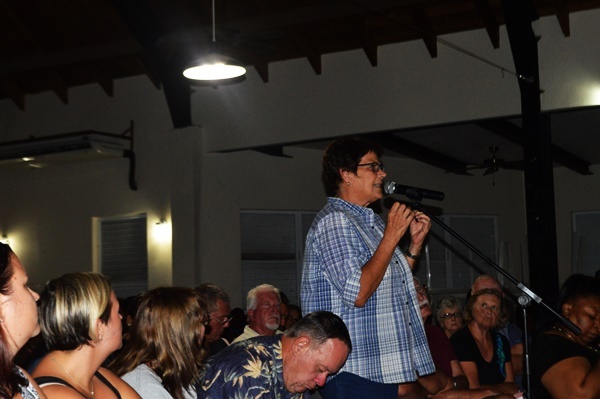 The former tenant further told the community meeting that, although some tenants have tried to improve on their products, the traffic through the yacht harbour has fallen significantly. “We have heard the rumours about Buck [who owns Buck’s Supermarket] and the others moving or being put out. Those people have been there [at the yacht harbour] for donkey years. They helped bring that marina to what it is today… To issue Buck with a new lease for an increased rate to pay up or get out – good for Buck, he said I will get out. That is ridiculous. That’s how people treat one another? 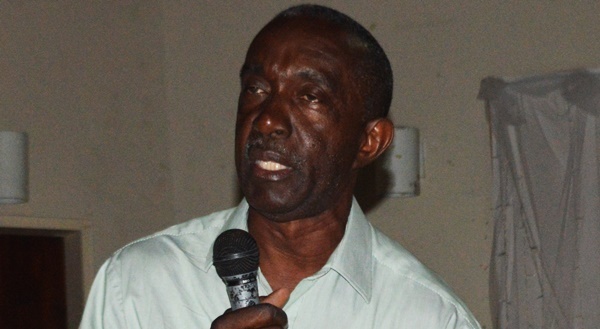 That is not how people treat one another on Virgin Gorda,” the resident further told persons at a public meeting in the Catholic Community Centre. She added that she is disappointed mainly because she had great expectations when the group of local investors acquired Virgin Gorda Yacht Harbour in the 1990s. She participated in the celebration. “He (Meade Malone) was saying we finally have the property; it’s back in our hands – in the BVIslanders’ hands, which was fine. And we all clapped; we thought it was great, because they all promised the world. 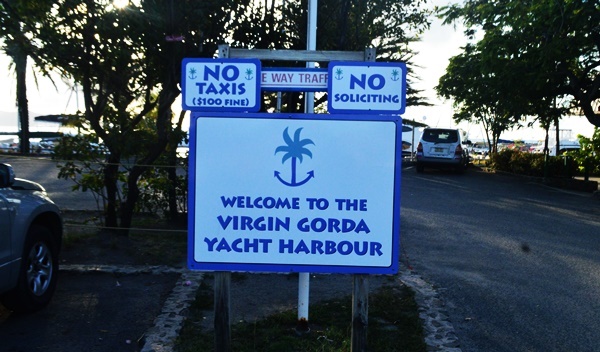 They said Virgin Gorda Yacht Harbour is going to become the premier marina and boat yard in the Caribbean,” the former tenant recalled.